Our "paint and sip" oriented websites are fast, user friendly, and geared for "high SEO" (search engine optimization) so your business will rank on the first page of Google and other major search engines. As easy as "copy and paste", no knowledge of code required 100% mobile friendly website for all devices. Coupon codes, new painting image uploads, and monthly calendars all at your fingertips. Merchant interface to accept credit cards is automatically built into the website, so you can see who signed up and when you're getting paid, track and handle all accounting tasks in regards to income. Automatic customer email notifications for classes purchased and inventory controls to avoid overbooking! Website Terms -- web-based system (no software to download). You will own the website 100%. No credit check or other info, bank account required. $13 annual fee for the domain name, $29 monthly hosting fee plus 2.9% and $0.30 per sales transaction, no mark-up from us. Note -- we cannot transfer certain domain names based on their provider / host so please do not create new domains prior to contacting us. Our expansive and detailed, 20-page business plan has been used by our customers to secure bank loans up to $85k, as well as to study their business model and strategies. 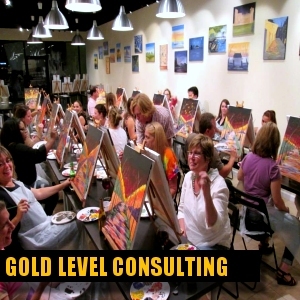 Our custom business plans are only available to our GOLD or SILVER level consulting clients. 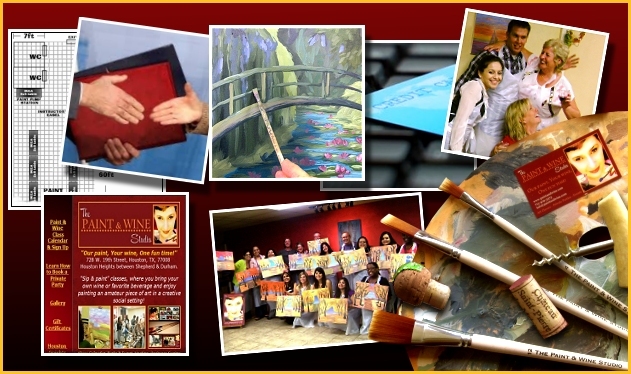 Click here for all of the details of our "Paint & Sip Business Plans & Bank Loans! Detailed list of art materials as well as studio furnishing such as tables and chairs at best price. Variety of vendors, includes clickable links to order directly online. Complete sundry item list of what to purchase locally as well as a "mobile" list for shows / offsite events. Our inventory lists are only available to our GOLD or SILVER level consulting clients. 100 images of our best-selling, self-copyrighted paintings, licensed for class use only (no merchandising reproduction, etc). 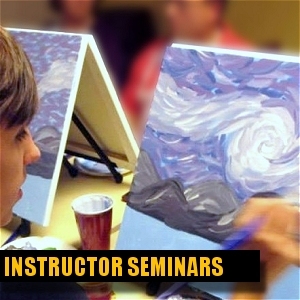 Use of the paintings is only available to those who attend our INSTRUCTOR CERTIFICATION SEMINAR. 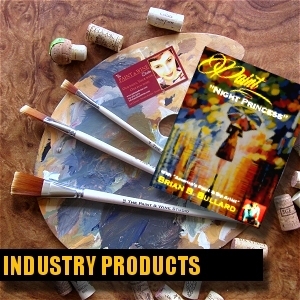 BUY LICENSED "PAINT & SIP" PAINTING INSTRUCTIONS! Learn to paint this popular painting in acrylics! 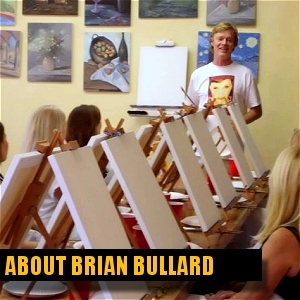 We guide you step-by-step in two methods -- the fine art as well as the traditional quick and easy "paint and sip" style -- using only three brushes and waterbased, acrylic paints! 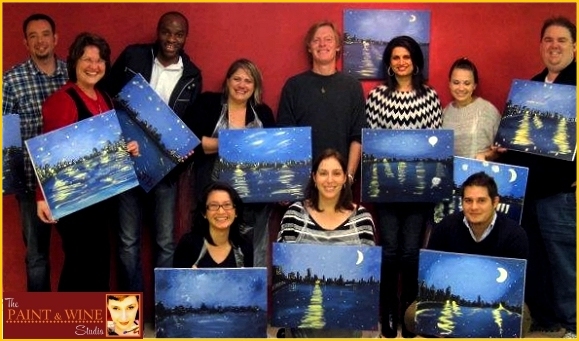 You can now offer this best-selling painting in your "paint & sip" classes or "WOW" your friends with your talent! Give that special person the hand-made gift of self-created art! Enjoy painting at your own pace without distractions from others! You can change the painting any way you want -- make it unique, make it your own! 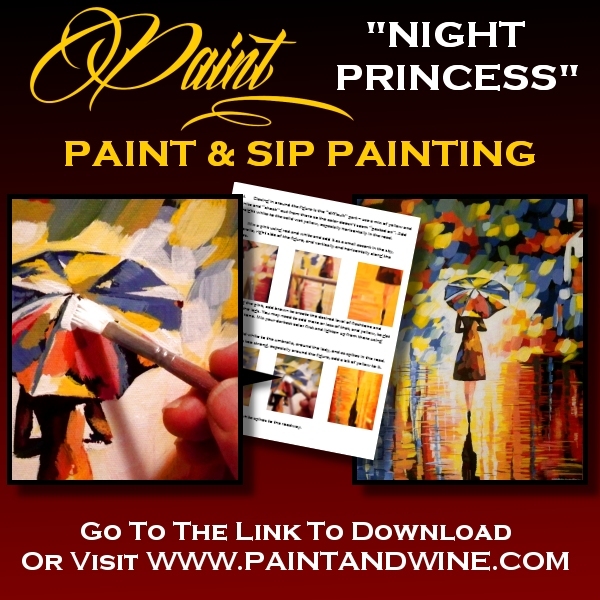 *Step-by-step instructions for both the "fine art" and "paint & sip" styles. *Advice on what to look for in the best canvas, paints, and brushes to use from other brands. *Printable template to easily transfer figure onto canvas as explained in the instructions.